AZTEC chocolates are handcrafted. To make the most of the flavour and texture, enjoy them at room temperature. If you’re ignoring the temptation to have them immediately, preserve them at 12-20 degrees Celsius. Away from odour, moisture and sunlight. This is the care tip you receive, whether purchasing your very own box to curb your sweetness pang or to give to someone for an occasion. Aztec was launched on 15th September 2017. The chocolate shop offers 45 different flavours of chocolate. These range from mint, to coconut, to dark, to classics, to a variety of nuts and fruits. This chocolate shop overwhelms with flavour, colour and ambiance. It offers an expansive display of chocolates, along with various options of wrapping and boxes. Aztec is designed by Asad Omari and Afsheen Dada. It is located on main Badar Commercial – the hub of eateries. ‘A lot of research has gone into interiors, packaging and motifs. In fact, every little detail in this shop has been given a lot of thought’, explains Naila, owner of AZTEC and the very popular ‘Pie In The Sky’ bakery. Chocolates are loved and enjoyed by almost everyone. There is always something for everyone’s taste. It follows naturally then, that Aztec chocolates would make a precious gift. They can be gifted, nicely-packaged, for multiple festive occasions. They can be enjoyed equally by young and old. Naila explained how Aztec was an ancient tribe that had invented chocolate with Cocoa beans in the 15th century. Any plans on stocking chocolates at ‘Pie In The Sky’ locations? We tasted the following Aztec flavours: Espresso, Caramel, Cheesecake, Croquette Pistachios and Milk Caree. When you bite into an Aztec chocolate, you might not experience an immediate burst of flavour, but rather, you are treated to an aftertaste. The chocolates are rightly sweetened, perfectly packed and can be boxed for presents, however you wish them to be. Our personal favourite is the dark chocolate-almond at Aztec. Give it a try and tell us how you like your chocolates? For more information click here. If you LOVE all things chocolate, especially Chocolate Chip Cookies, you might want to check out the Karamel Cafe, now open at 5 outlets across Pakistan. 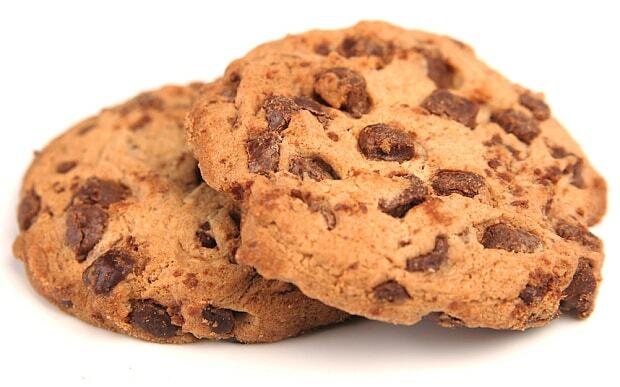 FUN Chocolate Fact: Did you know that the chocolate chip cookie was an accident? In 1930 Ruth Wakefield realized she was out of baker’s chocolate and mixed broken piece of Nestle chocolate into her cookie dough, expecting the chocolate to be absorbed and create chocolate cookies. Instead, she accidentally created chocolate chip cookies, and later sold the idea to Nestle in return for a lifetime supply of chocolate!